Tanzacat is a unique mix of competitive sailing and holiday fun in the warm tropical waters of Tanzania. Tanzacat combines two events into one. 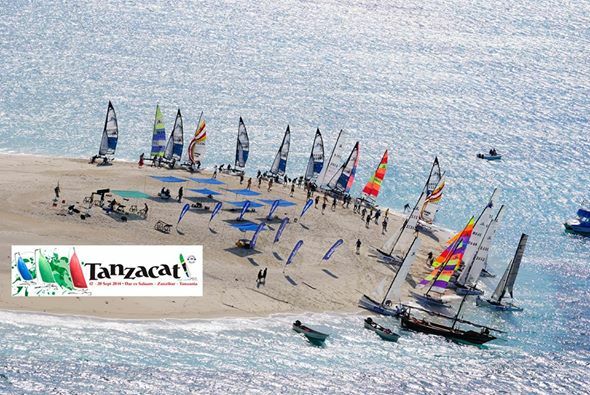 The Tanzacat Open is a race series around the bouys that is held over two weekends within Msasani Bay out of the Dar es Salaam Yacht Club. The Zanzibar Raid is a shortest elapsed time race from mainland Tanzania to Zanzibar and back over 4 days that visits tropical islands and sandbanks. Over the combined 8 days of sailing Tanzacat provides an amazing sailing experience that mixes the old with the new and fun with competition. The objective of Tanzacat is to have serious fun, build friendships and share our little cat sailing treasure with the rest of the World.